Staves are a ranged weapon type to be used with armor crafted at the Manipulator's Table due to their high energy requirements. Each staff has a unique effect when used, much like a 'spell' being cast. As with most weapons only one unique staff can be crafted, but others can be found as procedurally generated weapons on Tier 3 and higher Planets and Missions. For all staff weapons, the mouse cursor changes to a red crosshair when equipped. 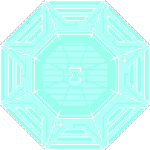 After holding down the mouse button to charge the weapon the cursor will turn green provided it is within range and line of sight of the staff's crystal. When the cursor is green the mouse button can be released to detonate the staff attack/ability. There is a wand (the one handed version of staffs) and a staff available to be crafted at the Manipulator's Table. Generated Staff primary abilities are offensive attacks which deal elemental damage. Like all staff abilities, players must be within range and line-of-sight of their current aiming location to initially use the ability (after the initial release, though, guided projectiles can be led behind walls without forcing the spell to end). In addition, only one ability can be active at a time, indicated by the staff glowing for the ability's duration. An active ability ends for one of three reasons: 1) the ability has reached its maximum duration, 2) all projectiles spawned by the ability have disappeared, or 3) the ability has been manually cancelled, either by using the left-hand button again or by switching items. Bouncer Electric Bouncer 75 Creates a small orb which follows the cursor, any surfaces it bounces off it leaves a lingering splash of elemental energy which deals damage. The bouncer expires after 5 seconds or when it hits something after its 6th bounce. Bouncer base power is 6 while spike base power is 0.6 (which can be dealt once every 0.5 seconds). Orb Electric Orb 75 Summons an orb of elemental energy, which follows the cursor wherever it moves and deals damage to enemies it strikes. The orb expires after 6 seconds. Base power is 4 (which can be dealt once every 0.25 seconds). 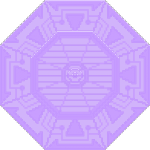 Portal Electric Portal 100 Summons a portal which releases swirling elemental energy which follows the cursor and damages any enemies they strike. The portal expires after 6 seconds while its projectiles expire after 3 seconds. The portal releases projectiles once every 0.3 seconds, and the projectiles each have a base power of 6. 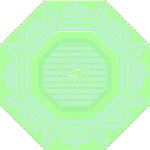 Rain Electric Rain 75 Summons a cloud which rains down elemental energy, damaging enemies which are struck. The cloud expires after 6 seconds while the elemental raindrops expire after 0.75 seconds. Raindrop base damage is 1.5, and the cloud releases about 10 raindrops per second starting 0.5 seconds after being spawned. Swarm Electric Swarm 50 Summons a swarm of 6 elemental balls of energy, which swarm around the cursor wherever it moves. The swarmers expire after 3 seconds and have a collective base power of 35 (i.e. each swarmer has a base power of ~5.83). All generated staff secondary abilities place an area of effect where the cursor is. Like primary attacks, these abilities will not trigger unless the staff has been fully charged, and only one instance of the ability can be active at a time. These area of effect abilities will affect anyone who enters the zone, friendly players and enemies alike. After 10 seconds the zone will disappear. 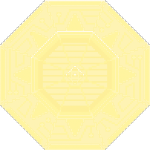 Unlike primary abilities, secondary abilities cannot be ended early for any reason, so the staff's primary ability can be used while a secondary ability is active. Secondary abilities for each staff are listed in the weapon tooltip. Draws players and enemies toward the center of the area. Applies energy regeneration buff which removes the 1.5-second energy recharge delay normally incurred by energy-consuming actions. 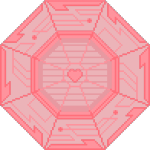 Applies regeneration buff which heals entities' health at a rate of 5%/second. Applies light buff which reduces gravity to 25% of normal. Repels players or enemies away from the area, pushing them outward from the center. Applies slow which reduces ground movement speed by 60%, other movement speeds by 50%, and jump height by 30%. This page was last modified on 21 December 2017, at 18:42.